Has it really been almost 2 months since I last wrote?! Good grief time is flying by! With everyone in school now the weeks go quickly and the weekends even faster. We decided to skip fall sports in hopes of having more laid back weekends – notice I said “in hopes”. 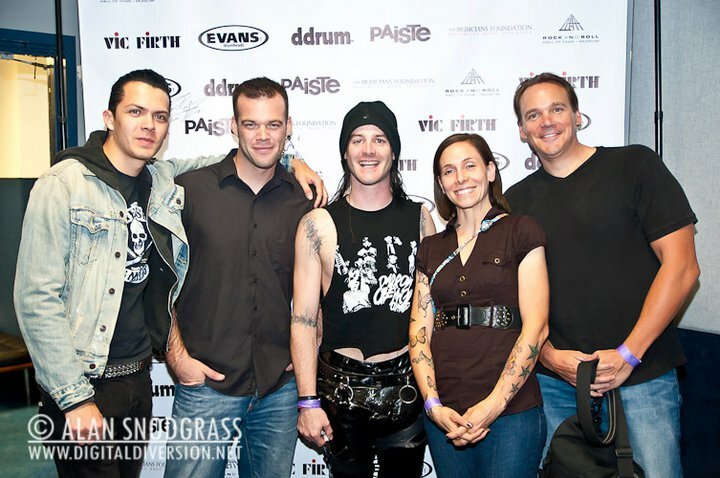 Ha…the only laid back weekends we’ve had were when either Ev & I were sick or all the kids. Free time seems to fill itself up when we’re not looking. Ok two months, what have we been up too…? Well the girls turned 3! Weeehaaa, they are 3 and potty trained, and for the most part pretty independent little people. They go to school on Tuesdays & Thursday and this year their birthday fell on a Thursday. 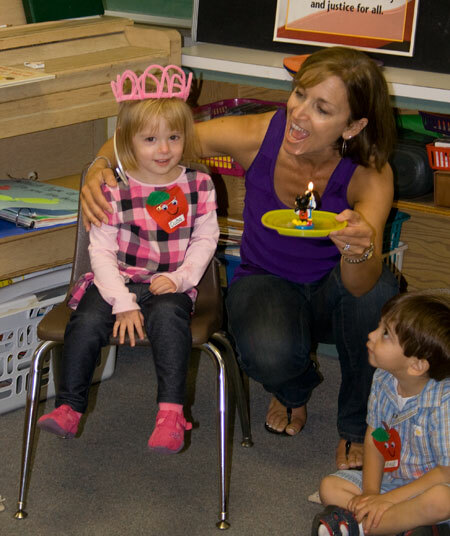 We got to bring a special snack, and their teacher made them birthday crowns out of pink pipe cleaners. It was very cute and they definitely enjoyed the attention, so much so each one cried while the other was being sung too. After school the girls had a playdate with their friend Emily. Her mom is such a sweetie that they showed up at the playground with balloons and presents for each girl. Dinner was a buffet of pizza, chicken nuggets, fries, and fruit. 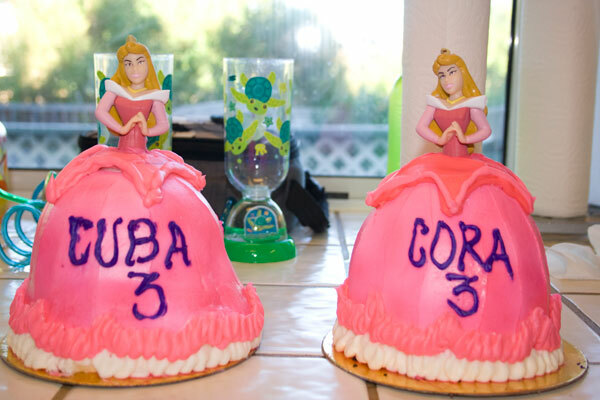 The best part though were their matching princess cakes. I remember my aunt making me one of these when I was around their age. The fact that I remember it tells you how cool I thought it was. The party didn’t stop there, Grandma & Grandpa came up for the weekend and we went apple picking. 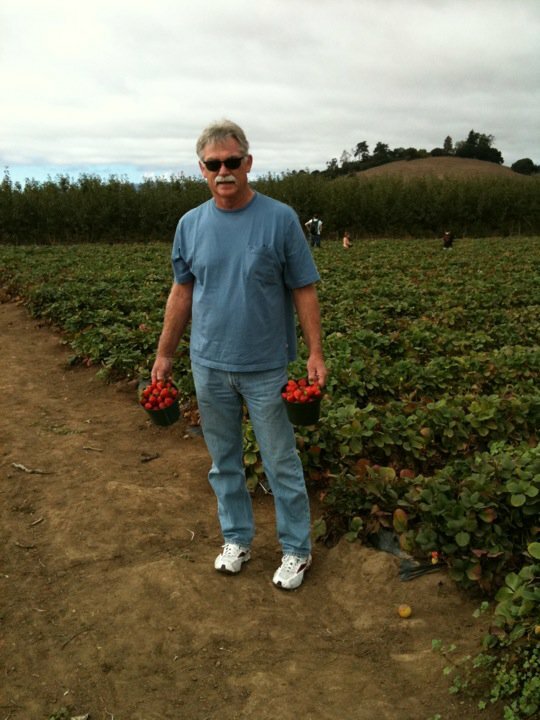 We drug them an hour south to Gizdich ranch for apple & strawberry picking-which Grandpa Cary was very good at by the way ;p And then ended that visit with the best apple pie I’ve ever had-hands down! The rest of September was a whirlwind of school functions. 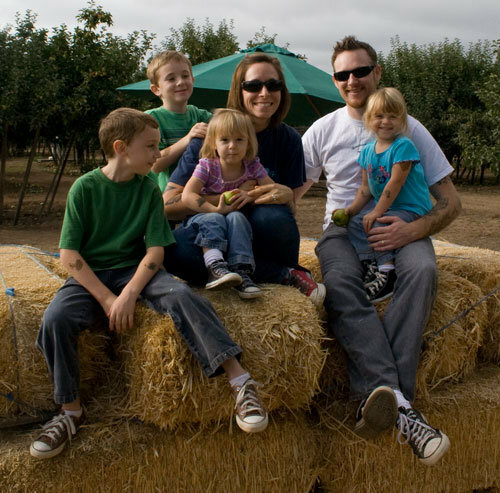 Halloween was crazy this year, with a 4 kids in school the week before Halloween was busy. The boys chose to be army guys, which was awesome because we already have tons of camo clothing. We picked up some face paint and helmets and their costumes were done. 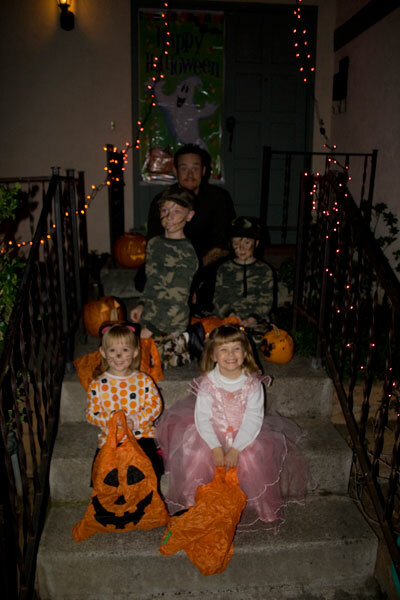 The girls went back and forth, but finally the morning of their Halloween parade decided to be a kitty and princess. 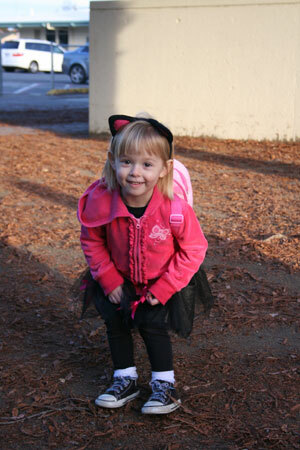 Cuba was originally a lady bug but changed her mind and desperately wanted to be the kitty – what Cora was going to be. 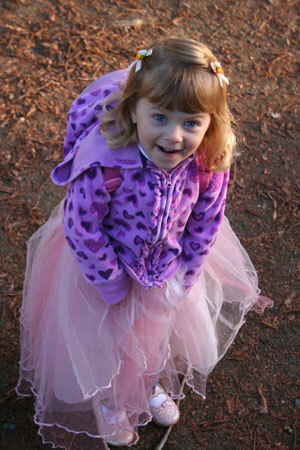 Cora was such a sweetie that she gave up her kitty costume and wore a princess dress up dress instead. She made a beautiful princess, and Cuba was an adorable kitty. Halloween weekend was busy. I ran my first race in more then 15 years, a 5k Halloween run. 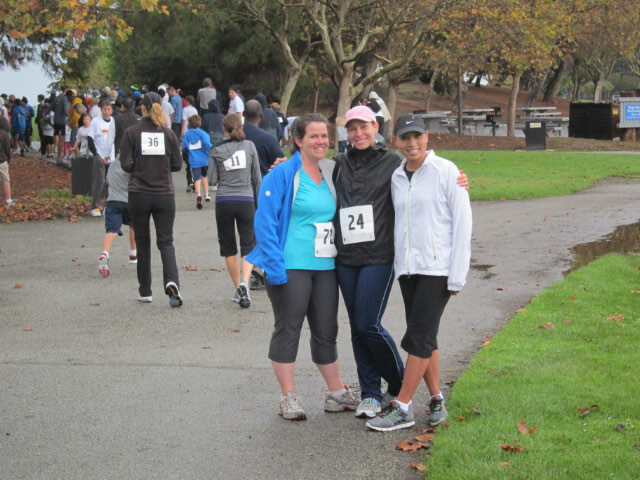 I ran with two great ladies from church. I think we may have started a running group. 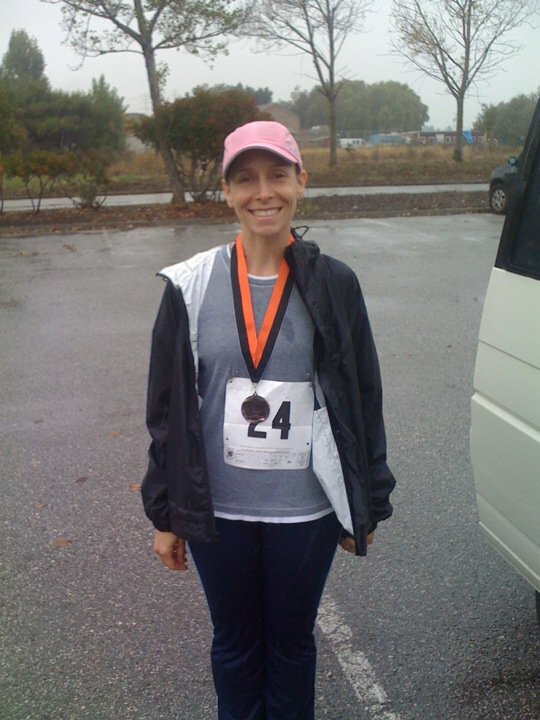 It was raining and chilly, but I got 3rd place in my age group – woot woot! Ok so there were only 10 ladies in my age group, but a confidence booster none the less! Our next race together is a 10k PCTR trail run in December. I can do a 10k no problem…but I’m nervous about the trail aspect of this race. I’m also running a 9k tomorrow, Title 9k – Women on the Run. I have no delusions of placing in these races. I’ll be thrilled to finish, both of these are going to be much bigger with more experienced runners. Races are fun, I love the excitement and competition. Halloween was almost a normal Sunday…except for the kids wearing most of their costumes to evening services ;p We hurried home and got out trick or treating. The kids were pretty tired from the church kids get together the day before so we didn’t stay out long. They ended up with a truck load of candy any way. We came home to an empty candy bowl on our porch too, so we had trick or treaters this year. Last year we came home to a full bowl All and all a great holiday weekend!